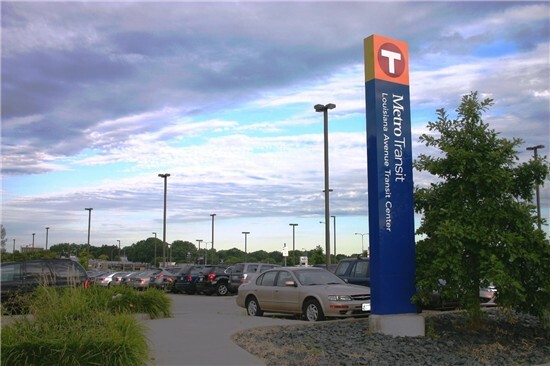 Description: Built in 1992, the Louisiana Avenue Transit Center is located in the southwest corner of Interstate 394 and Louisiana Avenue. The site includes 330 surface parking spaces. Overflow parking is available in a surface parking lot east of Louisiana Avenue. The Park & Ride primarily serves as a hub for express bus service to downtown Minneapolis but is also a stop for Route 604, which circulates through St. Louis Park, Route 9, with service to south Minneapolis and the METRO Blue Line, and Route 645, with limited stop service to downtown Minneapolis (eastbound) and Mound (westbound).